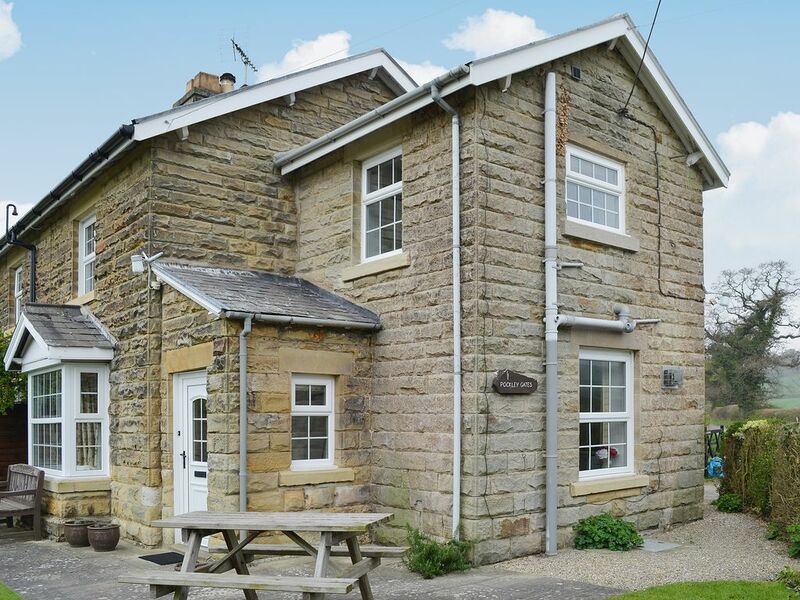 A quite, semi detached cottage overlooking the countryside just outside the traditional Yorkshire village of Helmsley. Built around 1875 as a railway gatehouse, Pockley Gates Cottage is set in a quiet rural location, overlooking rolling countryside. With a pretty cottage garden and well-presented interior, visitors are assured of a very comfortable and relaxing holiday. It is a perfect base from which to explore the numerous attractions that Ryedale has to offer. There are walking and cycling trails from the doorstep and Beadlam Grange Farm shop and tearoom and the renowned, award-winning restaurant The Star Inn at Harome are both close by. The bustling market town of Helmsley boasts an array of speciality shops overlooking the square and its ancient cross. There is a delightful five acre Walled Garden set against the backdrop of the Castle ruins and Duncombe Park, which is home to the International Centre for Birds of Prey. The Arts Centre offers a broad range of theatre, music, cinema and exhibitions and there are numerous traditional inns and teashops. Families can enjoy an outdoor swim at the pool during the summer months and both the Cleveland Way and Ebor Way begin from here. Historic houses can be found at Nunnington Hall and Castle Howard and Abbey ruins at Rievaulx and Byland. The stunning North Yorkshire Moors, the coastal resorts of Scarborough and Whitby and the ancient city of York are all within an hour’s drive. Lounge: With gas coal effect fire, Freeview TV, DVD player and CD/radio. Kitchen/dining room: With electric oven, microwave, fridge, freezer and washing machine. Bathroom: With bath, shower, WC and heated towel rail. All gas, electric, bed linen and towels included. Wi-Fi. Sitting-out area with furniture. BBQ. Parking (2 cars). Cycle store. No smoking. Please note: No children under 5 years. No children under 5 years old including babies. The stairs at this property are steep. Couples and family groups only.